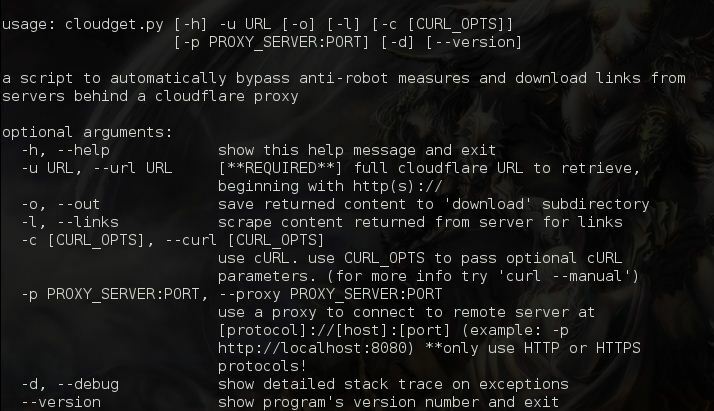 Browse: Home / cloudget v0.72 released – python script to bypass cloudflare from command line. 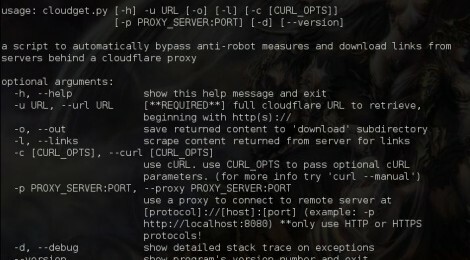 cloudget v0.72 released – python script to bypass cloudflare from command line. python script to bypass cloudflare from command line, with extensive scraping, link harvesting, and recursive directory downloading. built upon cfscrape module. req = "GET / HTTP/1.1\r\n"
← trojandroid – an android simple trojan app.